Facebook Reports Slow Response Time, Errors, & "Not Available"
Facebook has just reported, via their Facebook status blog, that they are experiencing site-wide delays, slow response times, and error messages. Again, this is a site-wide report so the impact is more than likely global versus regional or isolated to a cluster of servers. We’re currently seeing slow response times site-wide. This issue may also be affecting Platform apps and sites using Platform. We’re working to resolve the root cause and will update here when the matter is resolved. In previous articles on slow Facebook response issues, I’ve recommended people clear the cache of whatever browser they are using. However, with this problem being server side to Facebook specific, really there isn’t anything you can do except wait for Facebook to resolve their issues. 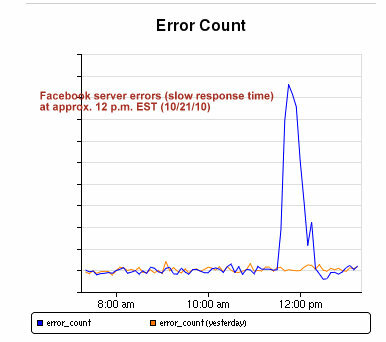 So are you experiencing slow response times from Facebook today? What type of error messages are you getting?